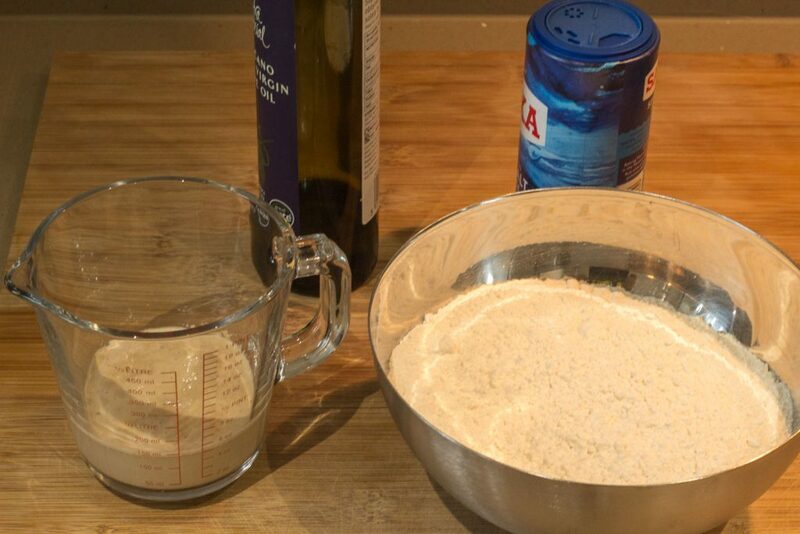 Add the yeast at one side of the bowl and add the salt at the other, otherwise the salt will kill the yeast. Stir all the ingredients. Add half of the water and turn the mixture round with your fingers. Continue to add water a little at a time, combining well, until you’ve picked up all of the flour from the sides of the bowl. 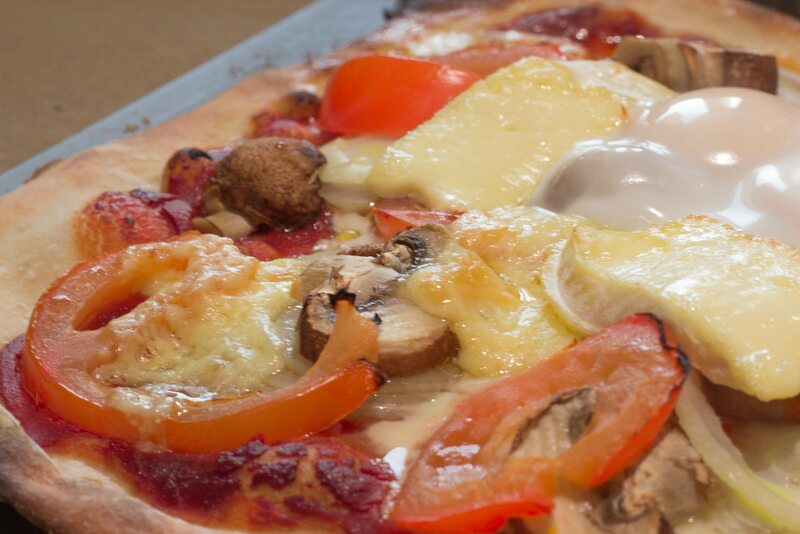 You may not need to add all of the water, or you may need to add a little more – you want a dough that is well combined and soft, but not sticky or soggy. Mix with your fingers to make sure all of the ingredients are combined and use the mixture to clean the inside of the bowl. Keep going until the mixture forms a rough dough. 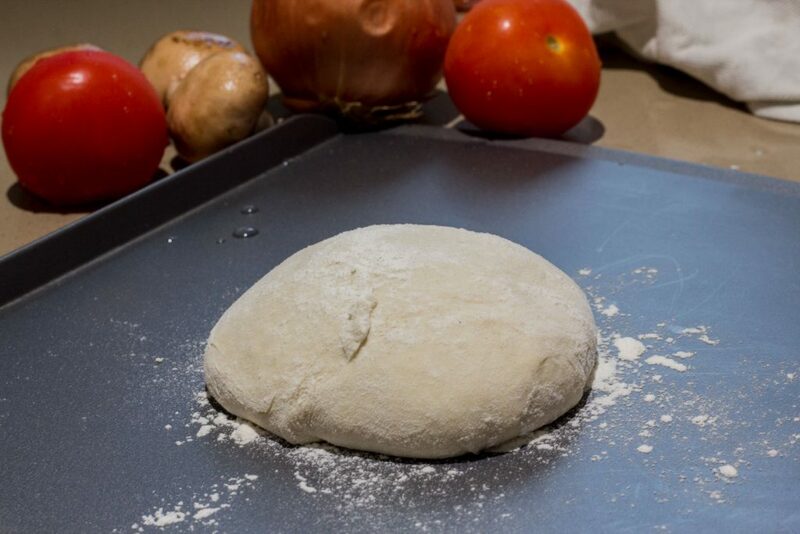 Now use your hands to knead the dough: push the dough out in one direction with the heel of your hand, then fold it back on itself. 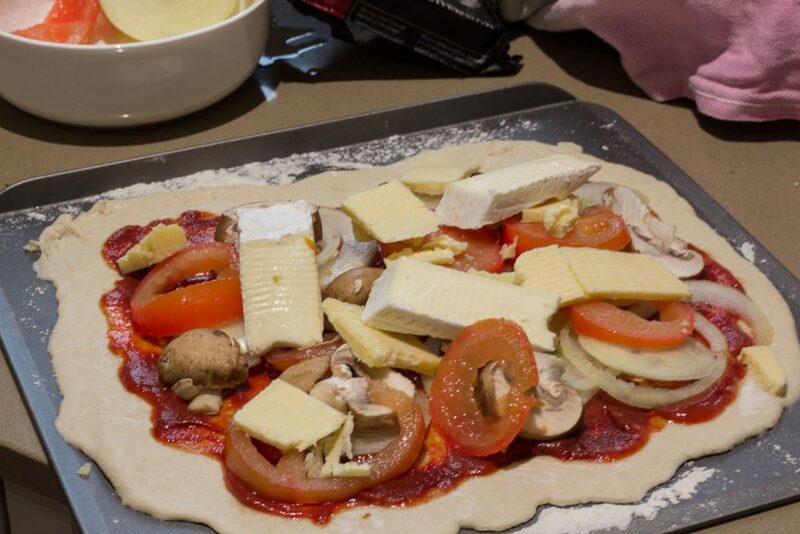 Turn the dough by 90 degrees and repeat. 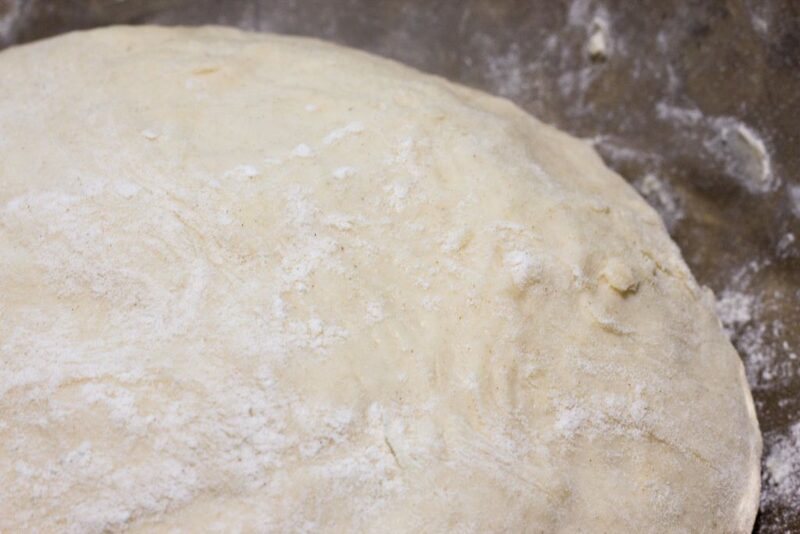 Kneading in this way stretches the gluten and makes the dough elastic. Do this for about 10 minutes until the dough is smooth and stretchy. Work quickly so that the mixture doesn’t stick to your hands – if it does get too sticky you can add a little flour to your hands. Cover with a damp tea towel or cling film and set it aside to prove. 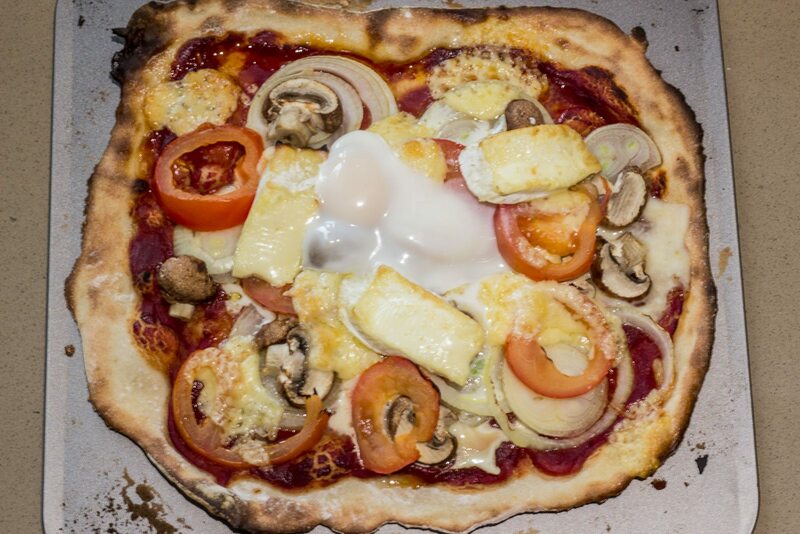 This gives the yeast time to work, the dough should double in size. This should take around one hour, but will vary depending on the temperature of your room. 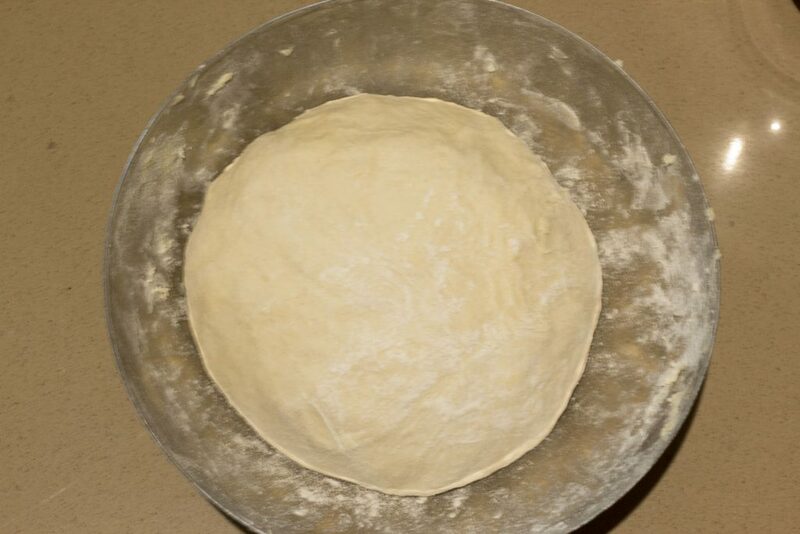 Once the dough has doubled in size scrape it out of the bowl to shape it. The texture should be bouncy and shiny. Turn it out onto a lightly floured surface and knock it back by kneading it firmly to 'knock' out the air. 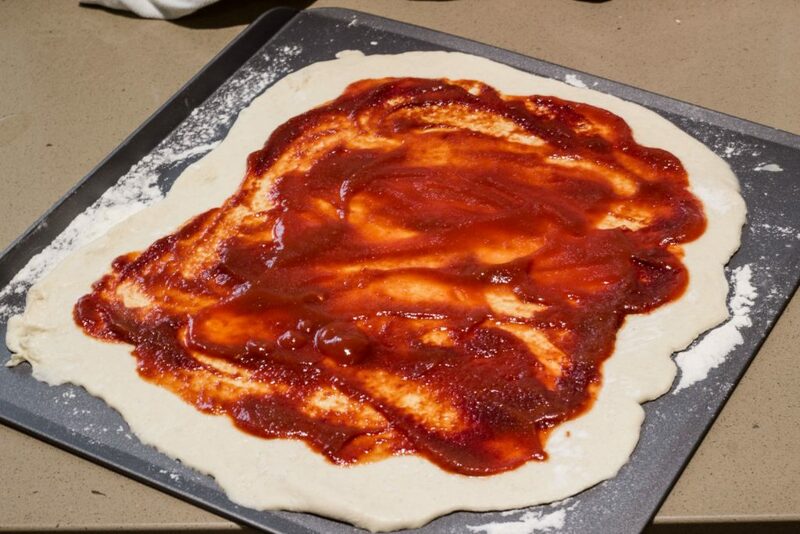 Use your hand to roll the dough up, then turn by 45 degrees and roll it up again. Repeat several times.